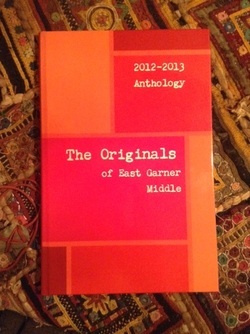 We just received a copy of our FIRST Library publication with original stories from EGMMS students. We awarded one writer a top prize for his work: Isaiah Rengifo. He will receive a hard back. All other applicants received paperbacks of their entries. Enjoy the drama of great books... Read Aloud. 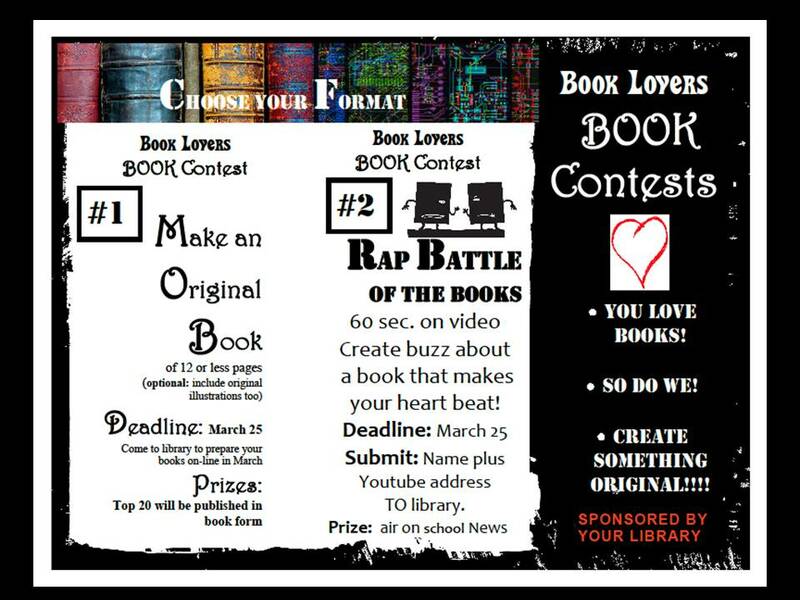 Join in & breath life into literature with your students. We will have Mrs. Maggio's drama students and a cast of thousands (well...probably under a hundred) for a Reader's Theater extravaganza at the end of Q3. While you may just want to watch, we also hope that we will have participating classes (teachers & students) to prepare short dialogues (adapted or derived from books). Plan ahead and tie into your curriculum. Why not ask your students to create short scripts derived from a favorite book. (or completely original shorts inspired by their favorite books.) A smartly written and performed story might inspire others to read the book. Visit Aaron Shepard's Reader Theatre for great scripts OR World of Tales for an incredible selection of tales from around the world. Here are scenes from last year's Reader Theater Event. Thanks to those who supported the Holiday Bookfair - Fundraiser this year.